Gholamreza Rahimi of Iran defeated Thailand’s Hanreuchai Netsiri 7-3 in the individual recurve men’s open at Rio 2016 on Tuesday. 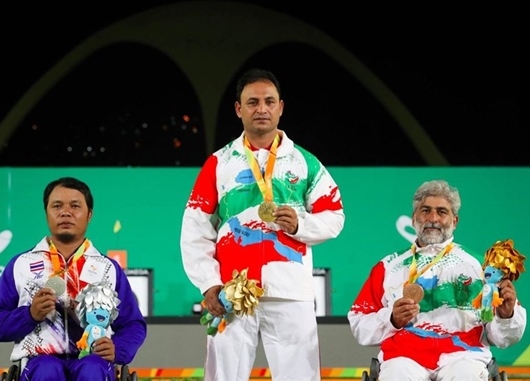 Rahimi beat top-seeded teammate Ebrahim Ranjbar in a five-set semifinal then shot two perfect 30-point sets to claim recurve men’s open Paralympic gold ahead of Netsiri. “The match was good, we’re going to do our best and be stronger. We are all good, powerful men and I like it,” said Rahimi. Rahimi, ranked fifth after the ranking round, was the only athlete to shoot more than one perfect set during the eliminations – and both came in the final against Netsiri. Ranjbar defeated Luciano Rezende of Brazil 7-1 and won the bronze medal.